Chickungunya is a rare form of viral fever caused by an alphavirus. This is spread from one person to another by the aedes aegypti mosquito. It has flu-like symptoms such as severe headache, chills, fevers, joint pains, nausea and vomiting. Some people may have bleeding from nose or gums. In severe cases, respiratory failure, cardiovascular decompensation (not balancing the functional or structural defects), or meningoencephalitis may occur. The incubation period is about one to twelve days after the mosquito bite. Unfortunately, there is no cure or treatment for chikungunya, and the main problem with this viral fever is the after-effects. The fever may subside within three to five days, but the joint pains persist for months. The disease is self-limiting and resolves with time, but needs supportive medical care with anti-inflammatory and analgesic medicines. There is no drug exclusively prescribed for chikungunya in allopathic medicine until now. Only the symptoms are treated. Paracetamol is used for treating fever and anti-inflammatory drugs such as aspirin, ibuprofen, diclofenac and naproxen are used for treating knee or joints pain. While some people do respond favorably to these drugs, others are not. As no medicine is absolutely safe without any side or toxic effects, patients need to use it with caution. Aspirin is not recommended for children, while asthma patients should avoid non-steroidal anti-inflammatory agents like ibuprofen. Hence many people turn to Ayiurveda and other alternative medicines. Ayurveda, to some extent helps to treat the conditions of chikungunya. There's a mention of sandhi jwara or arthritic fever in ancient Ayurvedic texts. 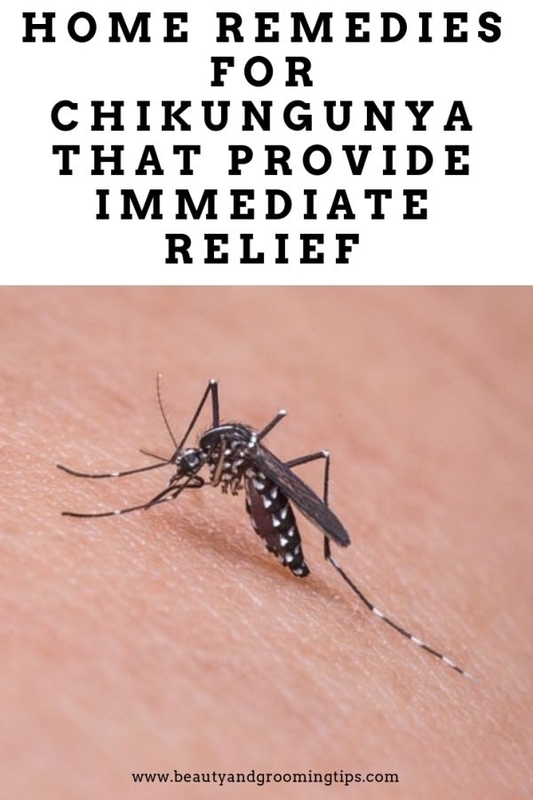 Most of the herbal drugs and concoctions (Kashayams) prescribed for this condition work effectively in bring down the fever, soothing joint pains and relieving most of the other conditions of chikungunya. Some Ayurvedic potions try to boost he immunity of the patient to fight the disease. Since there is a rapid fall in the blood platelet count when one has chikungunya or dengue, papaya leaf extract is highly recommended. A study conducted by Bharathiar University, India has ascertained this. Papaya leaf remedy is found to be highly effective in improving the platelet count within 3 hours of consuming it. All you need is two papaya leaves. After removing the veins and stem, grind it to a smooth paste and strain it to extract the juice. You may get around 2-3 tbsp of juice which you can consume. Have this for 2-3 days. Though chikungunya is not fatal, some deaths were reported from some parts of India which could be due to inappropriate use of medicines, mainly allopathic ones. As there is no proper antidote for chikungunya, it is best to take preventive steps. It's even rumoured that chikungunya is a disease created in a lab and a part of biological weapon program. The only and perhaps best option available is to maintain hygiene. One should keep the surroundings clean, remove all open containers with stagnant water to prevent mosquito breeding, the transmitter of disease. The adult mosquitoes can be killed through spraying of insecticides. To prevent mosquito bite and mosquito breeding at an individual level, the following measures should be adopted. * Wear full sleeve clothes and long dresses to avoid body's exposure to mosquitoes. * To avoid daytime biting, use mosquito repellents such as coils, creams and mats. * Use window nets which prevent entry of mosquitos inside the house. * Drain water from water coolers, tanks barrels, drums and buckets regularly. Here are some tips for you when you are recuperating from chikungunya. * You have to take adequate rest for your painful joints which is a major one of the major symptoms of this disease. More so since the joint pains persist even after the fever subsides. * Boil water with 5-6 Tulsi leaves and have it after food. This will bring down the fever an also boost your immunity. * A simple DIY massage oil can be prepared by adding a pinch of cinnamon (Dalchini) powder to 1-2 tbsp of castor oil and heating it. While using this oil, warm it and apply it to the painful joints. * Completely avoid non-vegetarian food during this period. Eat more of leafy green vegetables and fruits and keep yourself properly hydrated. * Also follow all the tips mentioned in the post Dengue Fever - Home Remedies as the symptoms of both fevers are almost similar. Also read the post Home Remedies while recovering from malaria. Take 3 cloves of garlic, 3-4 pieces of drumstick, 2-3 camphor balls and crush it in a mortar and pestle. Now heat 2 tbsp of coconut oil along with 1 tbsp of castor oil in a pan. Add the crushed mixture it it and continue heating on a low flame for around 2 minutes and let the goodness of the ingredients leach into it. After it cools, store it in a flat bottomed glass jar without staining. It can be stored for upto 3 days. To prepare a larger quantity of this oil, increase the quantity of ingredients in the proper ratio. Usage: Warm this oil and massage it on painful joints thrice a day. It can be used in all types of arthritic fevers. Heat a glass of water in a vessel. To this water add 1 tsp of Ajwain, 1/2 tsp of dry grapes, 5-6 Neem leaves and 10 Tulsi leaves. When it comes to a boil, lower the flame and let it continue to simmer for some time. Then take it off the flame and pour it in a glass without straining. Have this Kashayam, 3 times a day, half an hour after taking food. Do not discard the residues in the liquid, chew and swallow them while you are drinking. Have it when it's sufficiently hot. the medicine Eupatorium perf can prevent chikungunya infection. “The best way to treat chikungunya is to have home-made sweets like sukhdi, kheer, sheero and lots of liquids. My sister is a Cancer survivor and has been fighting the Chigunguya Virus for the past 2 months. She is 71 yrs. old and lives in Puerto Rico. She developed a rash from the virus and was taken to the hospital last night. How's your sister feeling now? I have had and while the fever and rash went away quickly the joint pains and swelling are not going away that easily. In the morning, my fingers feel stiff and painful. This is such a terrible illness ! What can be use for the chickengunya rash? How to get rid of the itching and the rash? @Anonymous comments 7 & 8: Chickungunya rashes usually appear 3-4 days after the fever. For this you have to visit the doctor to find out whether this is due to the effect of medications taken or they are just chikungunya rashes. The doctor may prescribe anti-histamines for this. 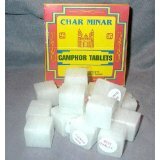 As for home-remedies, I dare not recommend anything as these are not ordinary rashes but chikungunya rashes. However, I believe you can gently apply lukewarm coconut oil over the rashes to get some relief from itching. But do consult your doctor before trying this. For severe pain in the joints, you have to consult your doctor. A recipe for preparing a massage oil is mentioned in the post. You can apply that oil on painful joints. Use the massage oil for managing joint pain. For severe pain, you better consult a doctor. I have been diagnosed with Chikunguniya and have got rashes all over my face. They are like red protruding lesions somewhat resembling acne. Is it normal? And will it get treated on its own? Apply aloe vera gel on rashes. It is very effective in itching also. Olive oil application is very effective in chikun gunya rashes. This is such a terrible virus.it is a wonder that thereis no fixed medicine for its cure.I use castor oil.seasme oil.cloves.cinammon.ginger.aloe vera gel.pepper.garlic.turmeric.camphor. Warm the oils and then add the rest of the ingredients. Store.warm and massage. Honey and lime mix is found to have soothing effect on the disease. Avoiding specific medicines is actually recommended for quick recovery. Also very mild exercise to joints can help ease the pain. Take plenty of rest, get plenty of sleep and drink plenty of water. Maintain a healthy diet consisting of fresh fruits and vegetables. Human immune system is capable of getting rid of Chikungunya, but you need to support your body by giving it more rest.